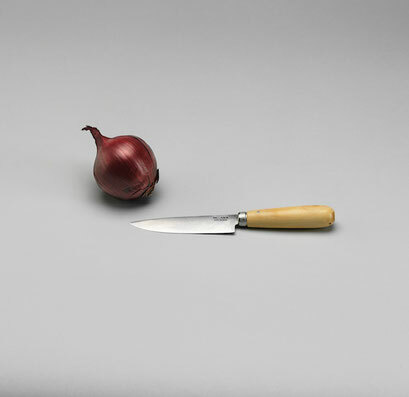 Grandpa's knife for cutting apples or peeling onions. It's been manufactured by the northern Spanish Pallares company for over a century. 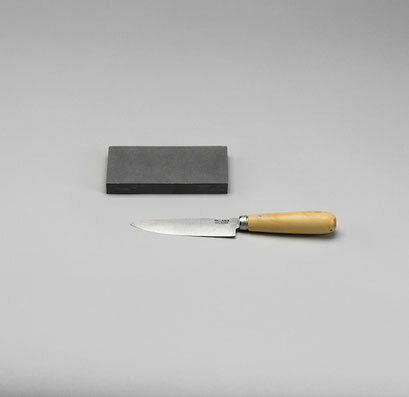 The blade is of carbon steel, a material traditionally used to manufacture knives that the Japanese samurai appreciated. The blade can be sharpened by the owner but must always be dried off as this steel isn't stainless. 10 cm blade, 9 cm wooden handle, total weight 48 grams. Tagliente is available with or without grinding stone. Tagliente: a knife with a long tradition. 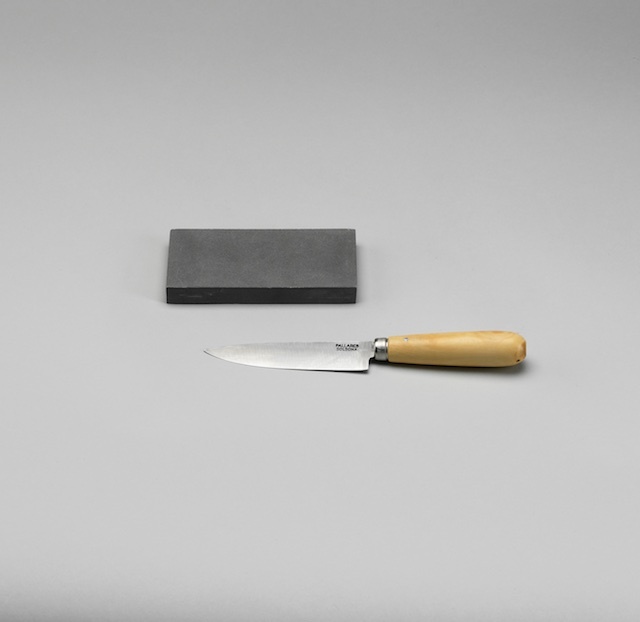 The grindstone is 6 x 12 cms and weighs 260 g.